Sleek Small Circular White Design. Hi Powered 2.1 Amp 5 Volt Charger Excellent for Charging and Running IPAD in the Car. Also has 1 Amp 5-Volt Plug. So you can charge two devices at Once. 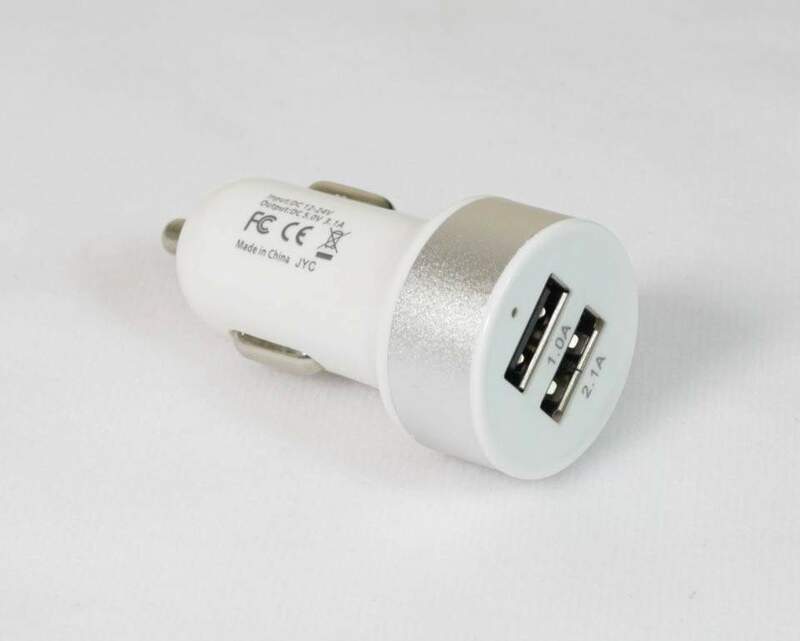 Single USB for Standard USB Charging.